When Is a Rest Break Not a Rest Break? In December 2016, the California Supreme Court published an opinion (Augustus v. ABM Security Services, Inc.) which exposes many employers to an unknowing violation of the rest break law. Security guards filed a class-action against their employer alleging rest break violations. The guards were required to keep their pagers and radio phones on during their rest breaks and to respond when the need arose even if they were on their rest break. The Supreme Court concluded that “[d]uring rest breaks, employers must relieve their non-exempt employees of all duties and relinquish any control over how employees spend their break time.” The Court reasoned that because the guards were on call to respond, if needed, the employer had not relinquished control over the guards during their rest break. As a result, the Court ruled that the guards’ rest break rights were violated and reinstated a class action judgment of $90 million. Significantly, no evidence was presented that any of the guards ever had their rest break interrupted by having to respond to a page or call. A. Minimum Wage. California’s minimum wage increased to $10.50 on January 1, 2017 for employers with 26 or more employees. Employers with less than 26 employees will be increased to $10.50 on January 1, 2018. Employers also need to be mindful of city ordinances regulating the pay of employees in specific cities, such as Los Angeles, Santa Monica, San Francisco and San Jose which have established separate minimum wage requirements. Other cities are likely to do the same thereby increasing the burden on employers to keep track of local government wage and hour decisions. The minimum wage in California will increase to $11 on January 1, 2018 for employers with 26 or more employees and a $1/year thereafter until the minimum wage increases to $15 on January 1, 2022. The increases for employers with less than 26 employees will follow one year after minimum wage increases are imposed on employers with more than 25 employees. For example, on January 1, 2019, the minimum wage for employers with less than 26 employees will be $12. C. Restrictions on Employment Agreements. Out of state employers often times have California employees agree to what is referred to as a choice of laws and venue provision––meaning employee claims must be (i) determined under the laws of another state and (ii) filed and litigated outside of California. Labor Code §925 is a new statute which prohibits employers from including such a provision in an agreement with an employee. This new statute applies to an employee who “primarily resides and works in California.” However, the new law allows a choice of law and venue provision in an agreement if the employee is individually represented by an attorney in negotiating the contract. Employees can collect attorney’s fees if they enforce their rights under this statute which provides a motivation for plaintiff’s attorneys to file lawsuits. There are a number of local jurisdictions which have passed their own sick leave laws. Currently, these include San Diego, Los Angeles, Santa Monica, San Francisco, Oakland and Emeryville. These sick leave laws provide greater benefits that the California sick leave law and generally apply if an employee works two hours per week or more in that City even if the employer is not located there. These laws differ in who is considered a family member, whether sick leave can be accrued or front loaded, as well as in other areas. Accordingly, employers need to maintain an awareness of changes in sick leave laws in cities where they have facilities or have employees working. 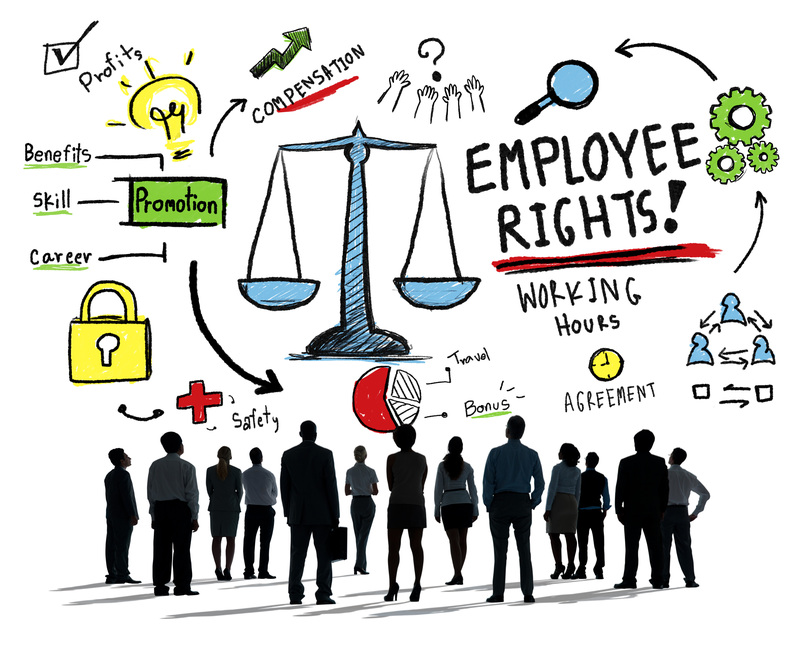 Additionally, the amendment prohibits employers from prohibiting an employee from disclosing the employee’s own wages, discussing the wages of others, inquiring about another employee’s wages, or aiding or encouraging any other employee to exercise his or her rights under these provisions. As of January 1, 2017, the law has been expanded to also prohibit paying an employee less based on that person’s race or ethnicity. It also prohibits an employer from justifying an employee’s salary disparity based on that person’s prior salary. The amendment prohibits employers from asking an applicant for employment to disclose, through any written form or verbally, certain information concerning arrests without a conviction, participation in pretrial or post trial diversion programs, or to use such information as a factor in determining any condition of employment, including hiring. Excluded from the definition of conviction is a judicial adjudication entered by a juvenile court or any other court order or action taken against a person who is under the process and jurisdiction of the juvenile court. There are also carve outs for health care facilities as defined by Health and Safety Code Section 1250 (dealing with the health of humans). Covered employers are prohibited from asking any applicant about their criminal history or requiring disclosure of any criminal history. After a conditional offer has been made (defined as an offer of employment conditioned on the applicant’s criminal history), the employer can ask the employee about their criminal background, but must then perform a written assessment that links aspects of the applicant’s criminal history with the job duties for the position sought. If employers decide to deny the applicant the position, they must go through the “Fair Chance Process” which requires written notification to the applicant and gives the applicant five business days to provide information or documentation. Then the employer must perform a written reassessment before taking the adverse action of not hiring the applicant. There are carve outs for specific jobs, such as police officers or jobs that require use of a gun, or positions for which the employer is prohibited from hiring an individual convicted of a crime, etc. This statute became effective June 9, 2016. Existing law prohibits smoking of tobacco products inside most enclosed spaces at a place of employment. The new law expands the prohibition on smoking to an owner-operated business which is defined as one where the owner-operator is the only worker–meaning there are no other employees, independent contractors or volunteers working there. The new law also eliminates most prior exemptions that permitted smoking in certain work environments. This bill enacts new record-keeping, registration and training requirements for the janitorial industry. The intent is to protect janitorial workers from wage theft and sexual violence or harassment. Effective July 1, 2018, an employer must register its business with the Division of Labor Standards Enforcement (“DLSE”) requiring the employer to make various disclosures and meet certain conditions. Thereafter, there are specified dates by which the DLSE and employers must be taken certain steps intended to minimize incidents of wage theft and sexual violence or harassment against janitorial employees. Existing law states agricultural workers who work more than 10 hours per day are entitled to overtime at 1 1/2 times their regular rate of pay. Agricultural employers are also exempt from the requirement to provide one day’s rest in seven worked. Effective January 1, 2017, agricultural employers are no longer exempt and cannot require employees to work more than six days in seven. The new law will phase in increased over time requirements for agricultural employees over a period of four years beginning January 1, 2019. Effective March 1, 2017, all single-user toilets in any business establishment, place of public accommodation, or state or local government agency must be identified by signage as all-gender toilet facilities and designated for use by no more than one occupant at a time, or for family or assisted use. “Single user toilet facility” means a toilet facility with no more than one toilet and urinal with a lock. Existing law prohibits an employer with 25 or more employees from discharging or discriminating against an employee who is a victim of domestic violence, sexual assault or stalking for taking time off from work for specified purposes. Effective July 1, 2017, employers must also inform, in writing, each employee of such rights at the time of hire or at any other time upon request of the employee. The Labor Commissioner must develop and post on its website a form an employer may use to comply with this notice requirement. Existing law requires an employer to provide employees with an accurate itemized statement in writing which discloses certain information related to hours worked and wages paid. The new law clarifies that employers are not required to include in itemized wage statements the total number of work hours by an exempt employee. Under existing law, employers who pay less than the required minimum wage are subject to a civil penalty and damages. The new law requires that, prior to an employer appealing a Labor Commissioner’s decision to a court, the employer must post a bond with the Commissioner equal to the total amount the Commissioner ordered the employer to pay, excluding penalties. The bond must be in favor of the employee and is forfeited to the employee if the court enters judgment against the employer and the employer fails to pay the amount owed within 10 days from entry of judgment. Under existing law it is unlawful for an employer to require an employee to provide more or different documents then are required under federal law, or to refuse to honor documents provided which, on their face, reasonably appear to be genuine. The new law permits applicants or employees to file a complaint with the Division of Labor Standards Enforcement and recover a penalty of up to $10,000 against the employer. O. Revisions to the Regulations Governing the Fair Employment and Housing Act (“FEHA”). In April 2016, California Regulations were amended to require employers to specifically list all of the bases of discrimination prohibited by FEHA. For example, an employer’s Equal Employment Opportunity Policy must list each such protected classification. Employers are also required to amend their discrimination, sexual harassment and retaliation policies to include specific provisions regarding their complaint and investigation procedures. For most employers, if their employee handbook’s discrimination, sexual harassment and retaliation policies have not been updated since April 2016, those policies are probably not compliant with the amended regulation. U.S. Citizenship & Immigration Services (“USCIS”) has revised and issued a new I-9 Form effective November 14, 2016. Employers are required to begin using the new I-9 Form on January 22, 2017. Employers are required to have every new employee fill out Section 1 of the I-9 Form on their first day of hire and Section 2 of the I-9 Form within three (3) days of their hire. Employers must retain I-9 Forms while the employee is employed and for at least one year after the employee leaves the employer. Applicants should not be requested to fill out an I-9 Form until they have been offered employment. Employers can be penalized if they fail to have employees fill out I-9 Forms and if they fail to retain the completed I-9 Forms. Employers can also be penalized for failing to properly fill out the I-9 Form. The form can be filled out in hard copy or on the computer and printed. Employers can ask to see and copy documents which support an employee’s right to work in the United States. The best practice is to copy those documents and maintain them with the I-9 Form. The USCIS has an Employer Handbook online to assist employers with their obligations. The new I-9 Form is available on the USCIS website at https://www.uscis.gov/i-9. Thank you for joining us on CIarkTalk! We look forward to seeing you again on this forum. Please note that views expressed in the above blog post do not constitute legal advice and are not intended to substitute the need for an attorney to represent your interests relating to the subject matter covered by the blog. If you have any questions about the new employment laws, please feel free to contact Leonard Brazil by email at lbrazil@clarktrev.com or Deborah Petito at dpetito@clartktrev.com or telephonically by calling the author at (213) 341-1359. Next Entry:COMMERCIAL LANDLORDS – DON’T FEAR TENANT BANKRUPTCIES!